Theres so many ways to show your pet that you love them. I absolutely love Valentines Day even though I show Chuy my love each and every day. 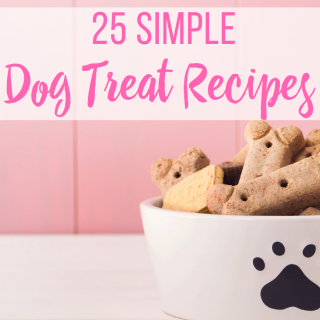 Dogs are really easy to please . 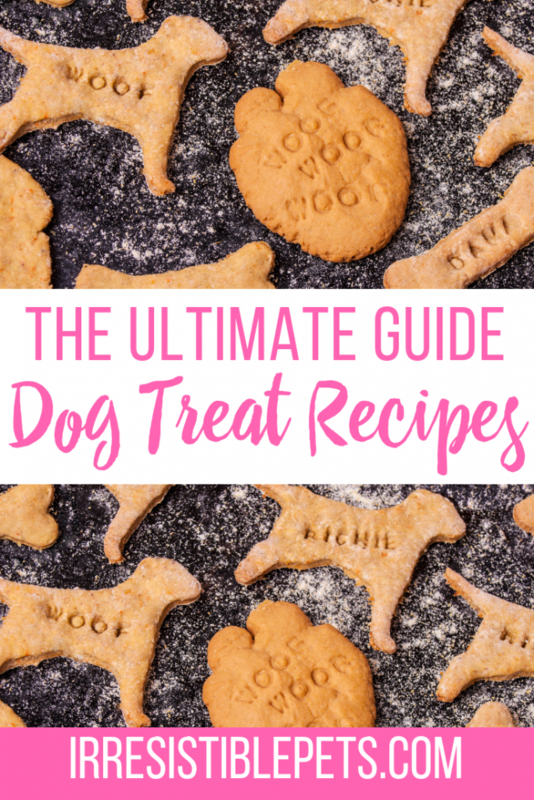 . . give them a few treats, a belly rub, and some quality time and they are yours forever! 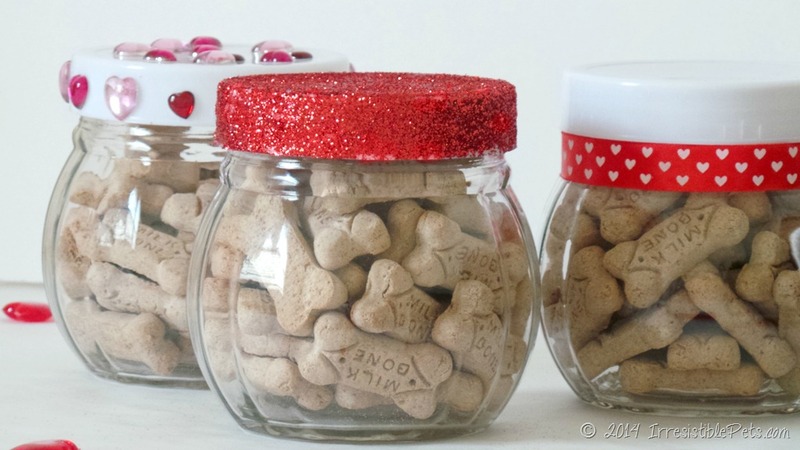 Crafting a dog treat jar is the perfect way to say I Love You to another pet parent or to give as a gift to your Irresistible Pet. 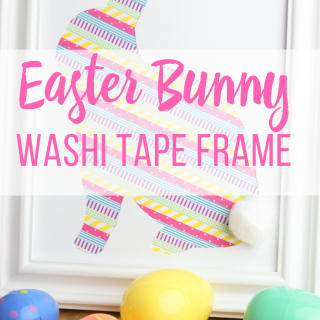 These are fun and easy to make right in the comfort of your own home. 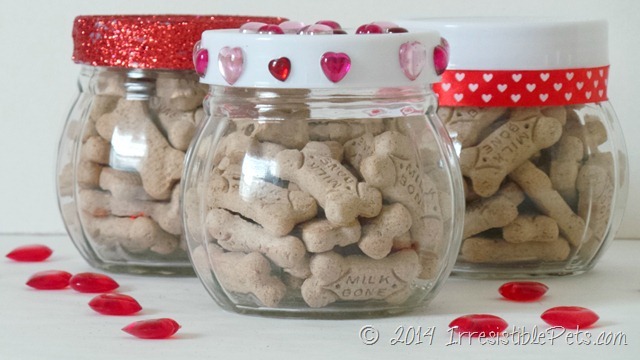 I will show you three different treat jar ideas for Valentines Day that you can create. 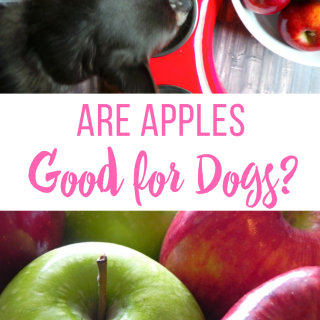 I believe that you dont have to spend a lot of money to make your pet feel irresistible, so all of my supplies were purchased at the Dollar Tree, including the jars! Any jar of your choice. 1. 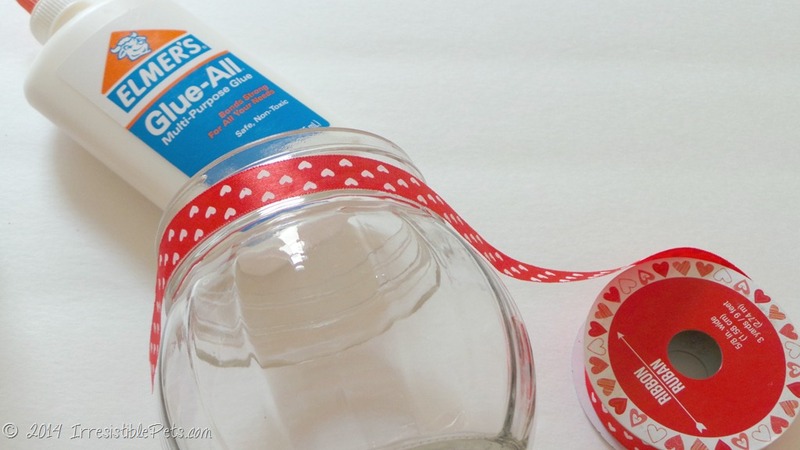 Take a paint brush and the Elmers Glue and apply a thick coat to the lid of your jar. 2. 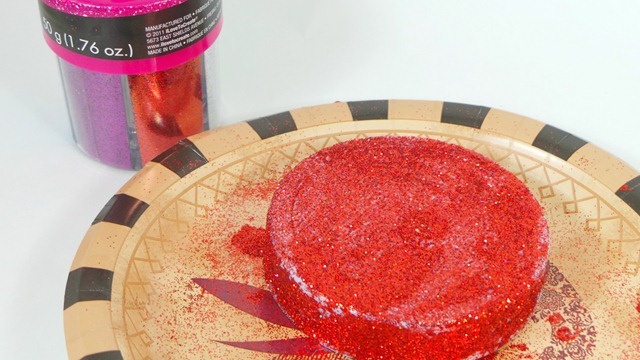 While the glue is still wet, sprinkle red glitter all over the lid. 3. Allow the lid to dry. 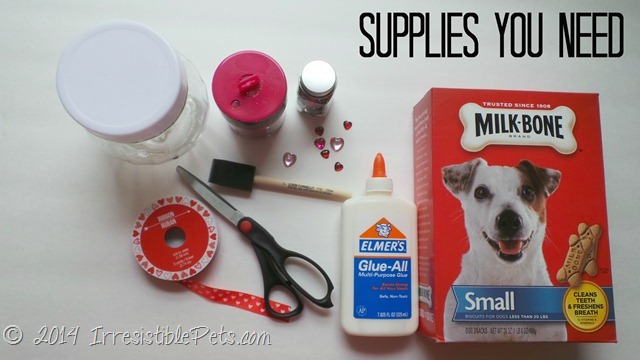 Apply more glue and glitter as needed to fill in any gaps. 1. Take the lid off of your jar. 2. Take some of the glue and apply to the rim of the glass, using a paint brush. 3. Glue the ribbon in place and allow to dry. 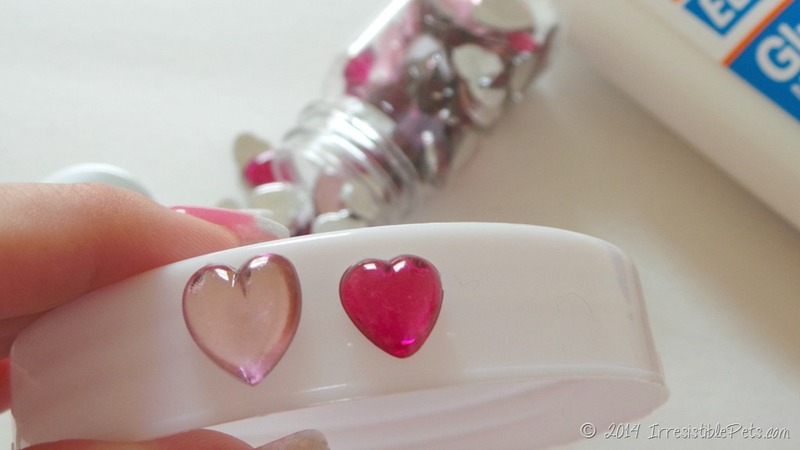 To give your jars a bling bling effect, glue some heart shaped gems around the lid. I dont think Chuy is interested in the jars . 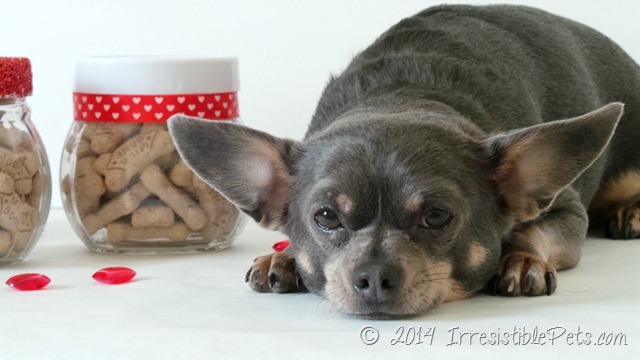 . . he just wants those Milk Bone biscuits! 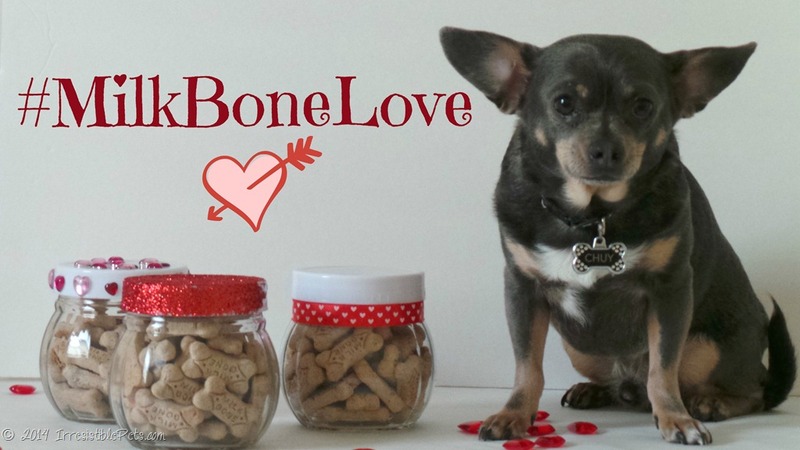 Fill Your Treat Jars with Milk-Bone and Enter To Win! 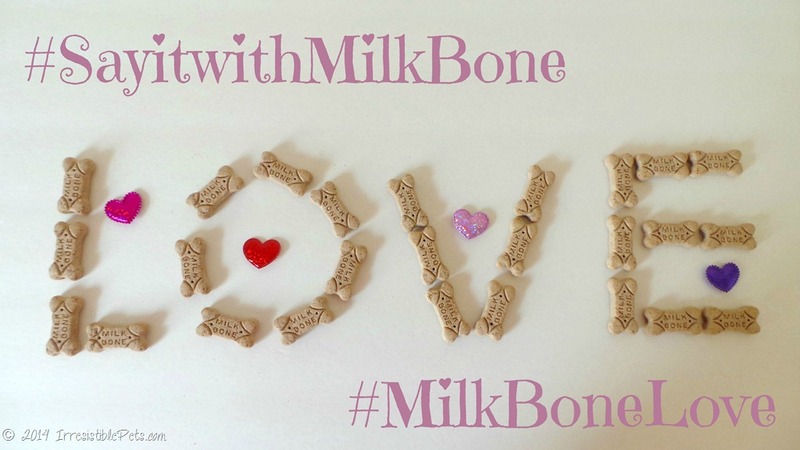 This Valentine’s Day, Milk?Bone® brand is giving you two chances to win when you say I love you with a Milk?Bone® biscuit. 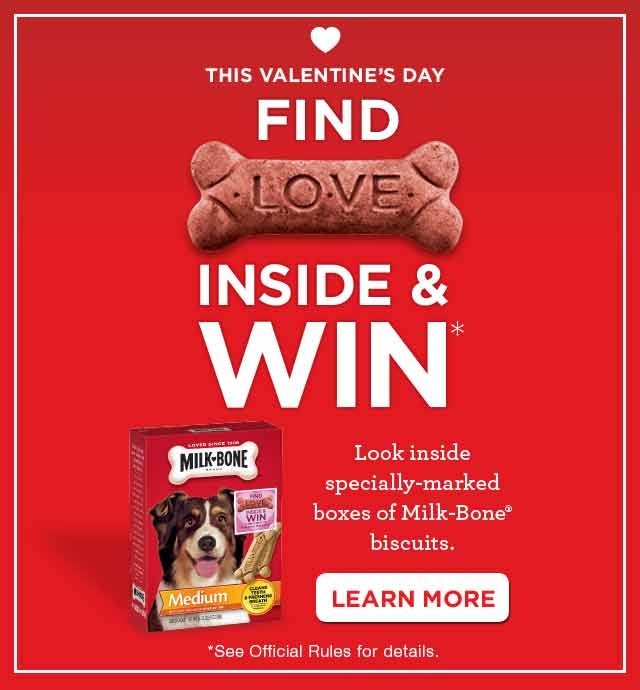 Look for specially-marked boxes in a store near you. 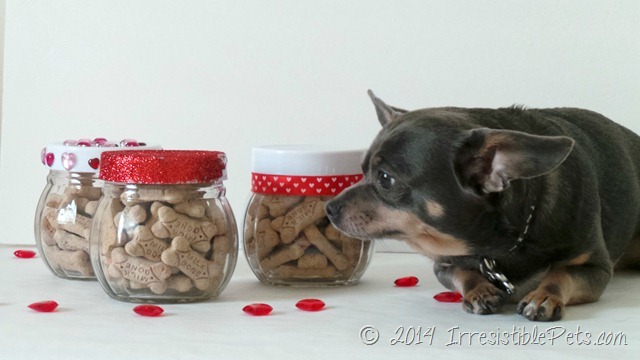 Enter now for a second chance to be one of the other winners selected on Valentine’s Day. 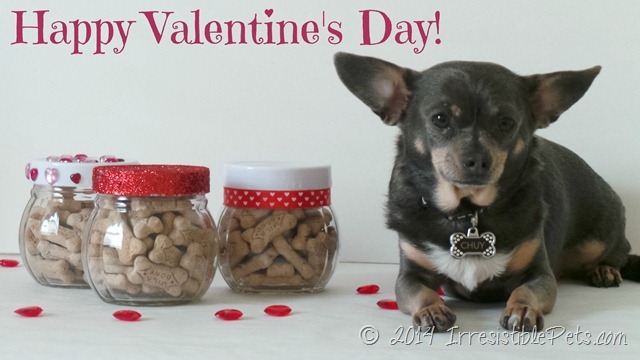 « Happy Valentine’s Day from Chuy Chihuahua! What a cute idea- I have a snow day today, maybe I’ll raid my craft box and put one together! 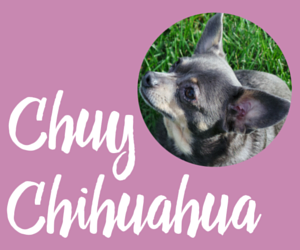 LOVE the last photo 🙂 Woofs to Chuy! 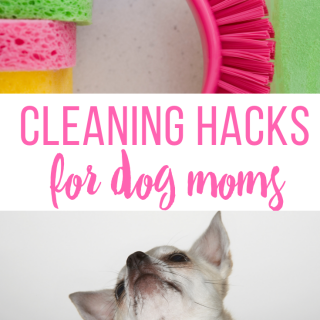 These are adorable and look very easy! I think I like the blingy one the best. Enjoy your Milk-Bones Chuy! Very cool! 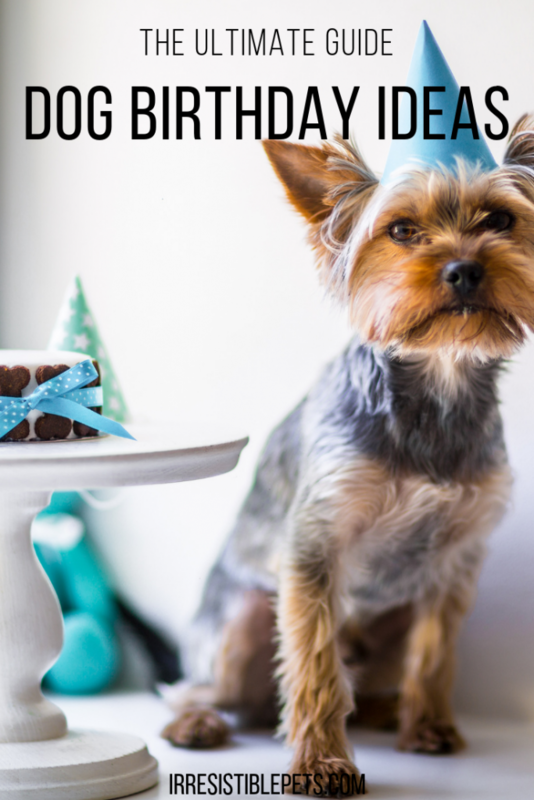 You have the best ideas Aimee! 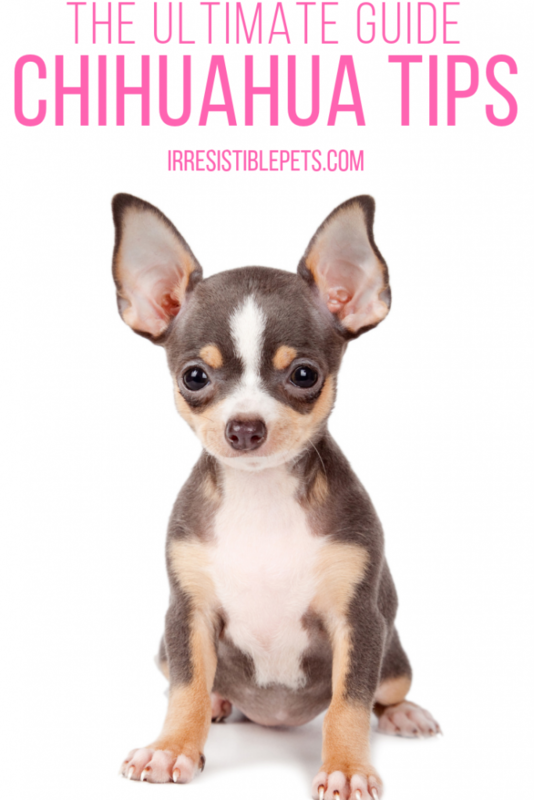 And you have the cutest little pup too!